I've been working to convert a lot of classic resources on Azure lately, a lot of fun I assure you! Many of the scenarios I faced implied virtual machines & virtual networks but here I will present a simple case I did recently, migration of a simple Classic storage used for blobs, tables & queues. 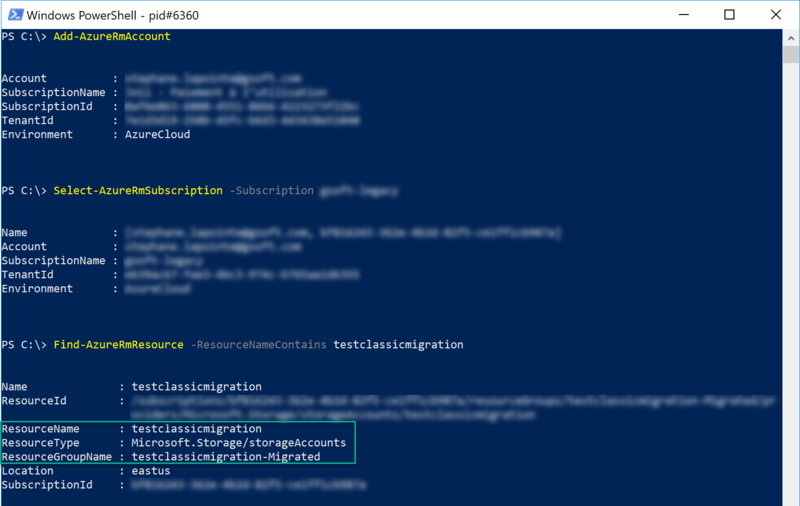 If you want to migrate one or many classic storage accounts that are used for everything else than hosting VHDs and images, this is the recipe for you. Note: you need to make sure you don't have VM images and disks as Azure Resource Manager storage accounts don't support Classic images & disks. First thing first, you'll need to login into your account and select the right subscription. Wait a bit and you'll see that the registration is completed. 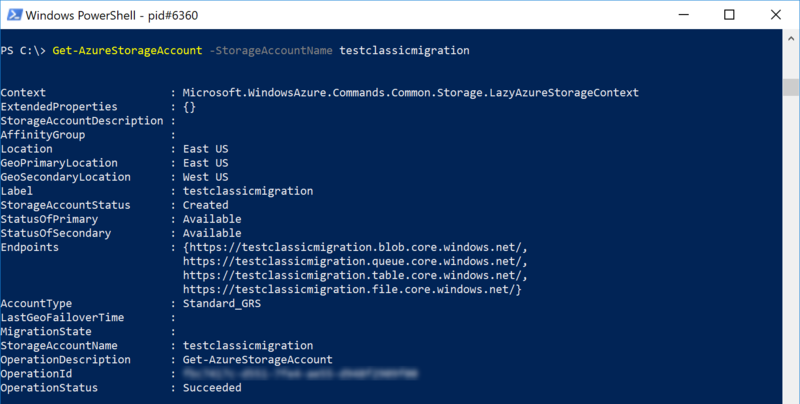 We are all good now, let's migrate this the Classic storage account to Azure Resource Manager in 3 little steps: first validate, then prepare the migration and finally, commit changes. You'll notice that your storage account is under a new resource group, the name of your storage account + '-Migrated'. The good news with ARM resources is that you can move them in a new or existing resource group without a problem, on the contrary of when it was a classic resource.